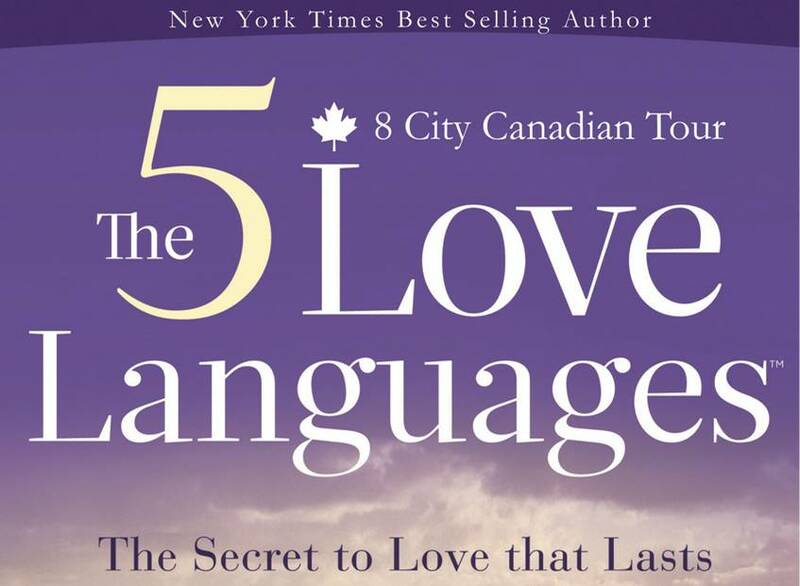 New York Times Best Selling Author and Speaker Dr. Gary Chapman is on his first Canadian Speaking Tour, speaking on the subject of the 5 Love Languages. With over 300 weeks on the New York Best Sellers List, Dr. Chapman’s book has been read by over 10 million people and continues to impact lives, marriages and families. Come enjoy this rare chance to hear him live and bring your family and friends. While purchasing on-line you can also save a portion of your service fees by helping promote this event via social media. Dr. Chapman will be speaking at Waterloo Pentecostal Assembly, 395 King St N, Waterlo, on Wednesday, October 29, 2014. To learn more, or to purchase tickets, click here.